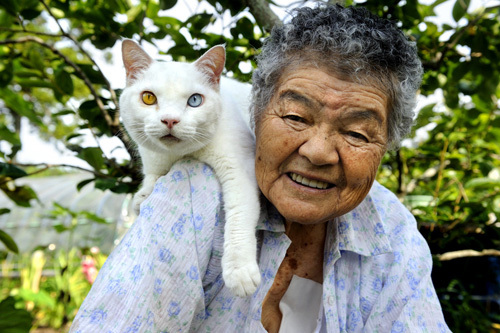 88-year-old Misao Ihara and her 9-year-old cat Fukumaru have been inseparable since the blue and golden-eyed cat was born in a shed on her property in 2003. 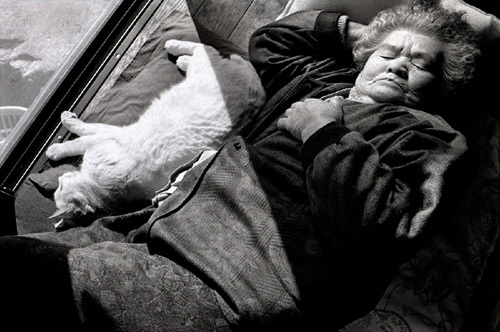 Misa's granddaughter, photographer Miyoko Ihara, began documenting her grandmother's life in pictures three years earlier, and realized she had two lives to document once the cat came along. 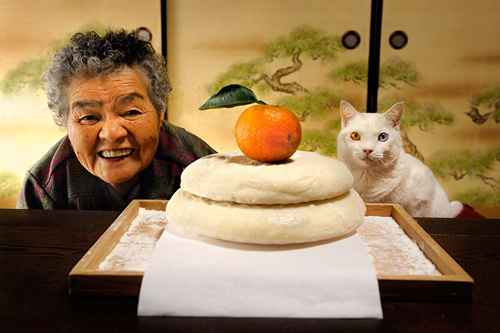 Last year, Ihara released "Misao the Big Mama and Fukumaru the Cat," a photography book that beautifully captures the deep spiritual bond between the pair. 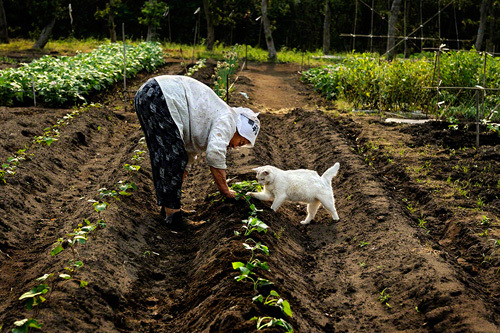 Even their everyday moments are infused with warmth and understanding, and thanks to these photographs, a love that will continue to live on for generations to come. This just makes me feel so warm and fuzzy. :) You are quite welcome! Cats just know, sometimes, don't they? That's one of the nicest collections I've seen in a while. So beautiful, so much love! This is so precious and cute! I love the cat's eyes too. OH what a bonded pair. It can and does happen and I love seeing this. 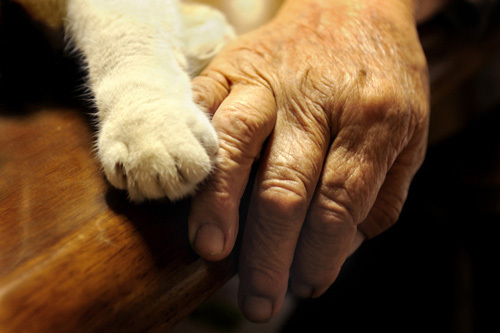 What a lovely story, best wishes to the lady, the cat, and the granddaughter. Wonderful pictures, lovely faces on both! Thank you so much for sharing this...I had not heard of the book and the photos are so inspiring! This was sooo beautiful that it made me cry!!! 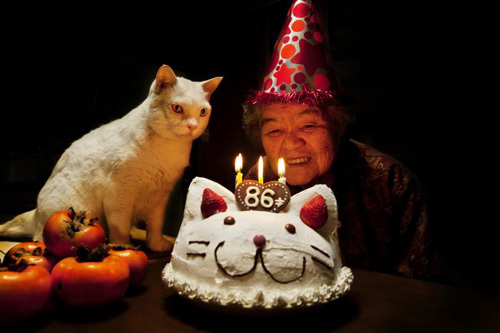 I love the photo of the two of them on the farm and sleeping together as well as the birthday cake! 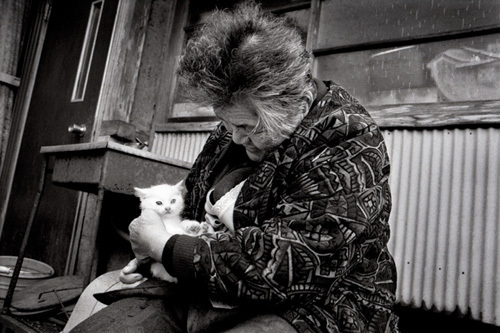 I had tears just looking at those wonderful photos.. Beautiful photos!